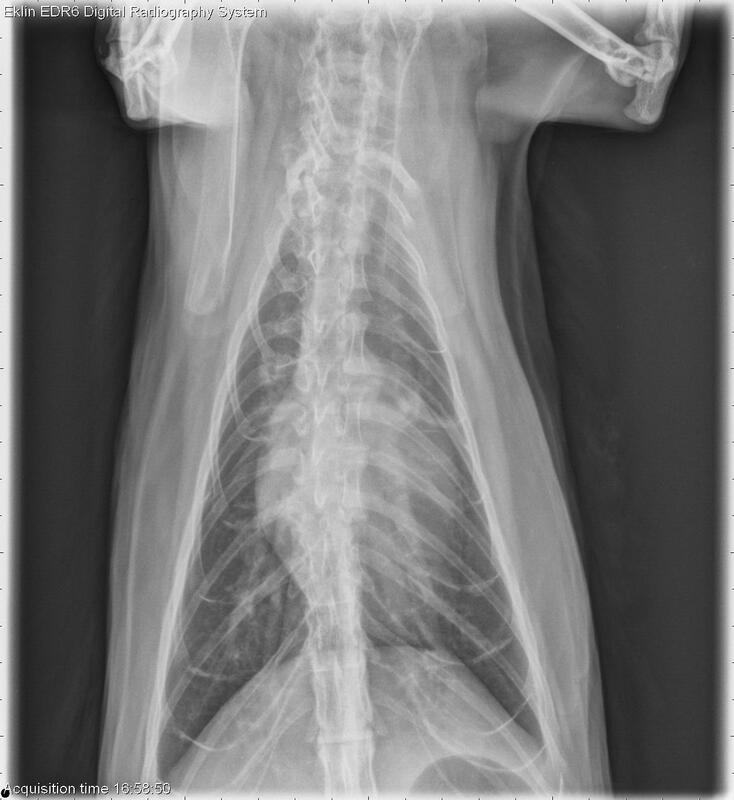 This week’s case is a 15-year-old male neutered Manx cat with 2 possible seizure events. What are your findings? The cardiac silhouette is markedly enlarged on all projections. The trachea is elevated on the lateral projection, and the cardiac silhouette occupies 3/4 of the thoracic width on the dorsoventral projection. The pulmonary vasculature is moderately enlarged. 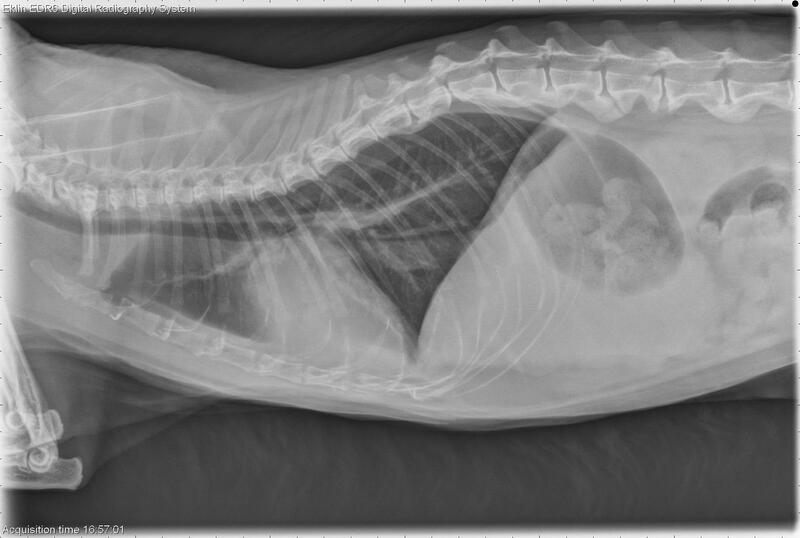 There are several fissure lines evident in the pleural space indicating effusion. In the portion of the abdomen included, there is poor detail. There is bridging spondylosis deformans in the lumbar spine. Cardiomegaly (hypertrophic cardiomyopathy, restrictive, dilated) with heart failure. Echocardiography showed end stage hypertrophic cardiomyopathy with heart failure. Were the “seizures” then determined to be syncope, or was there other pathology? 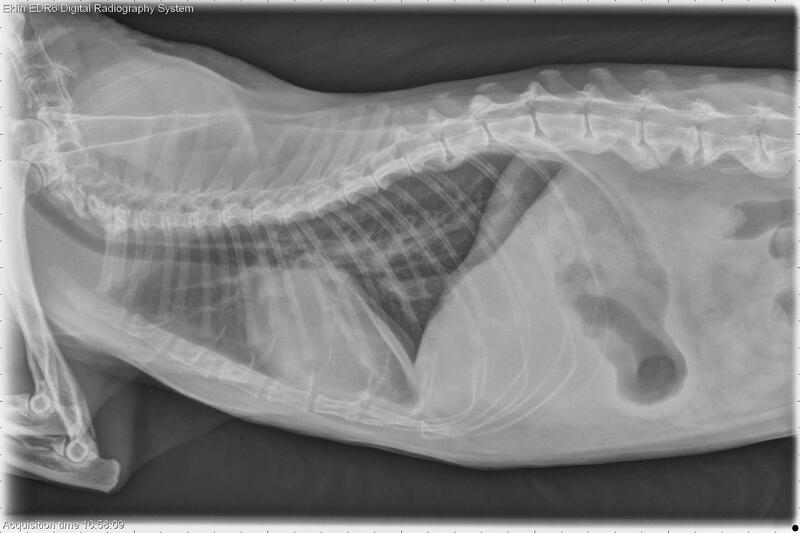 Was there dyspnea and hence aerophagia, or is the stomach gas within normal amounts?